Since our inception in 1973 we have grown from two men to dozens of highly qualified professionals. 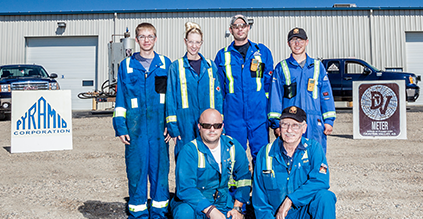 Leading equipment and selection is important, but the quality and commitment of our people is what sets us apart. Many of our employees have been with us over seven years; we see this as a testament to the value we place on having great people. If you think you would make a great addition to our team, click the link below to browse available positions with DV Meter, and other Pyramid Corporation companies.